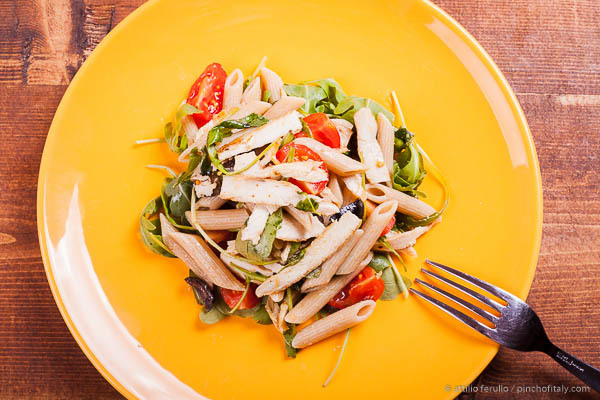 In summer, sitting at the table in front of a steaming plate of pasta is almost a punishment No doubt I will prefer a cold, tasty Italian style of chicken pasta salad just like this one. 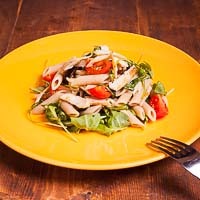 It can be served cold as a starter (decreasing the portions) or as a main dish. You'll see that a summer lunch will become pleasant altogether. 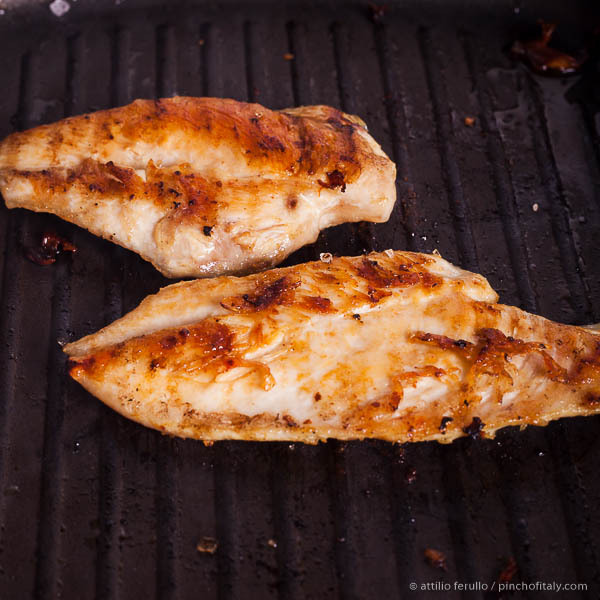 In a grill pan cook each side of the chicken breasts for about 7 minutes. 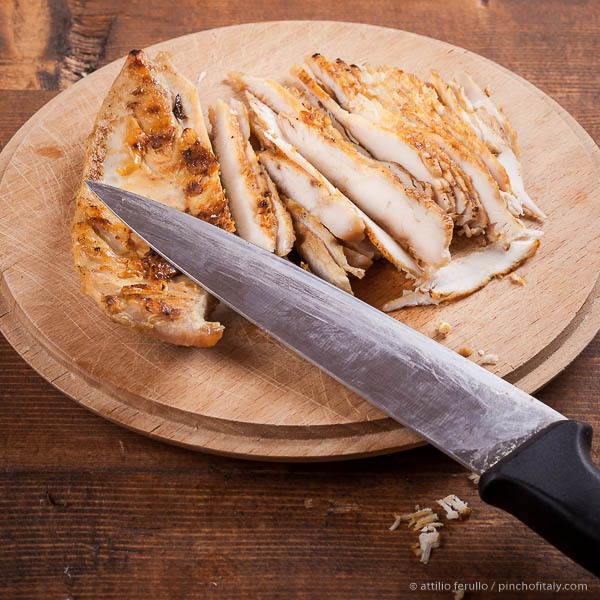 Squeeze half lemon and cut the chicken breasts into thin stripes. 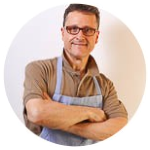 While the pasta cooks take a large bowl and put all the sliced ingredients in. 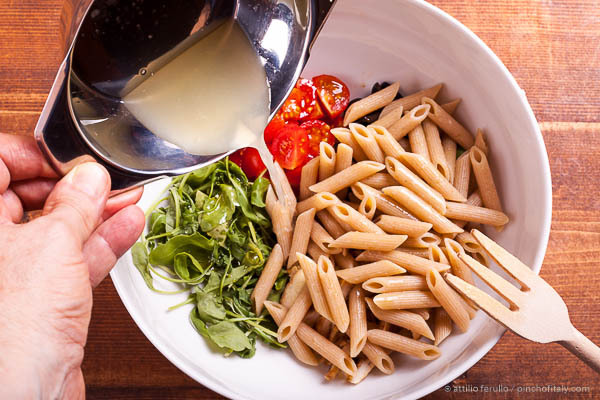 Once the pasta is cooked drain it and add it to the bowl, finally add the lemon juice give a stir and mix. Keep for a while in the fridge if you like to serve it cold. If there’s something I like more of this recipe is the chicken breast well cooked through even if it will end a little dry and tough. Roast for about 7 minutes on each side with a little olive oil and a sprinkle of sea salt. 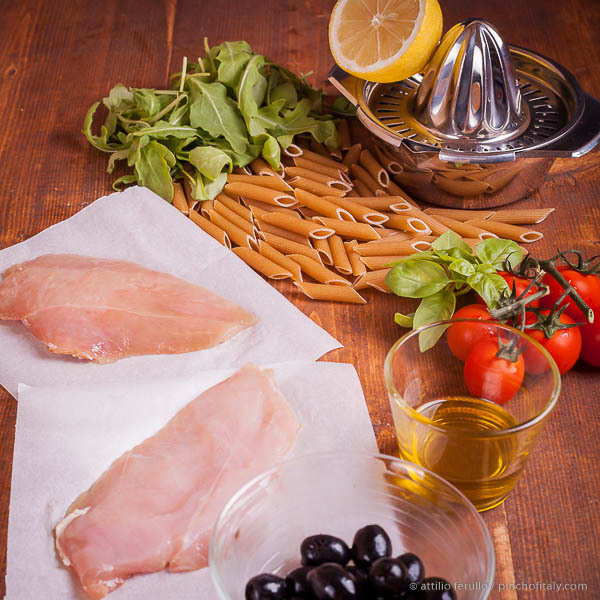 Cut the chicken breasts in thin stripes and then in halfs. 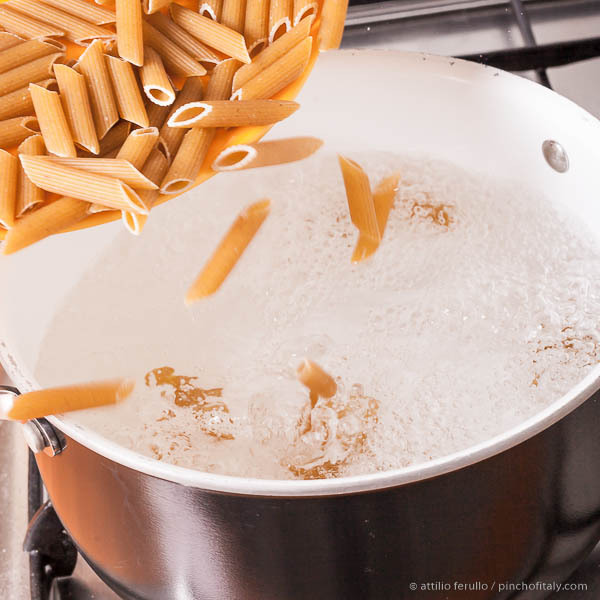 In the meantime, as often happens you can cook the pasta "al dente". 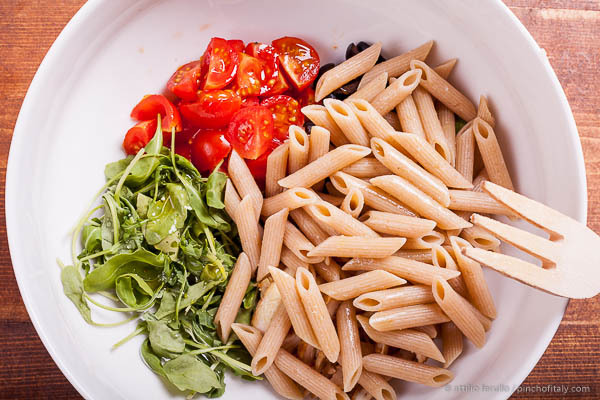 Once the pasta is cooked add it to the bowl with the other ingredients. With a fork mix everything well and keep it in the fridge for about 30 minutes before serving. 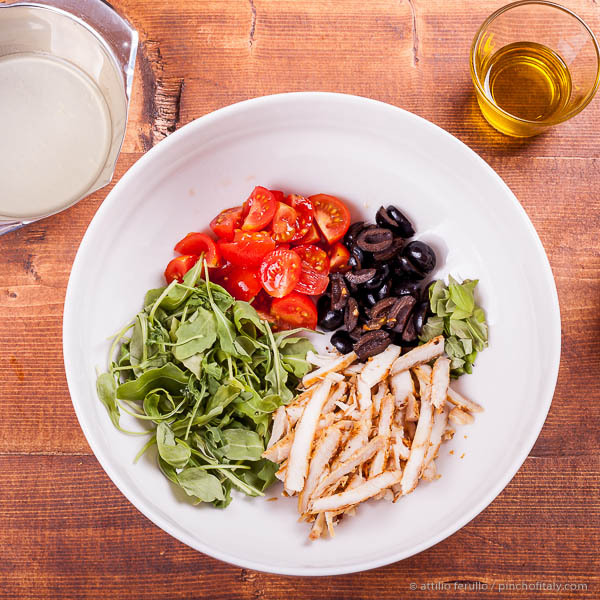 Drizzle all ingredients with extra-virgin olive oil and refrigerated for at least an hour. 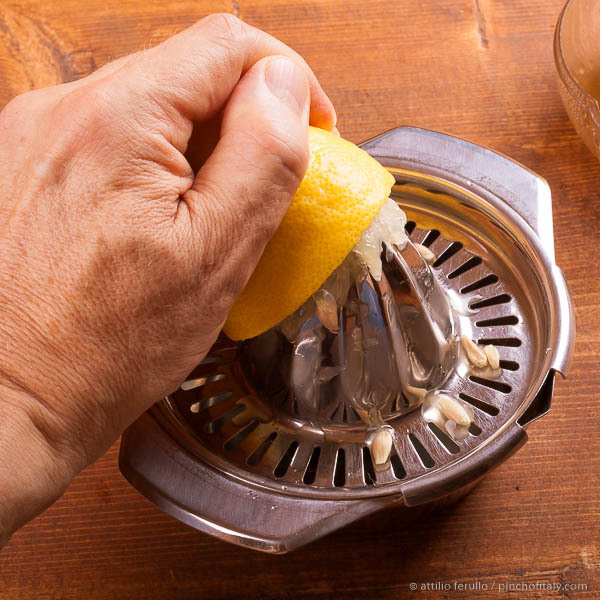 Squeezing an half lemon to make about 2 tbsp (30 ml) of juice. 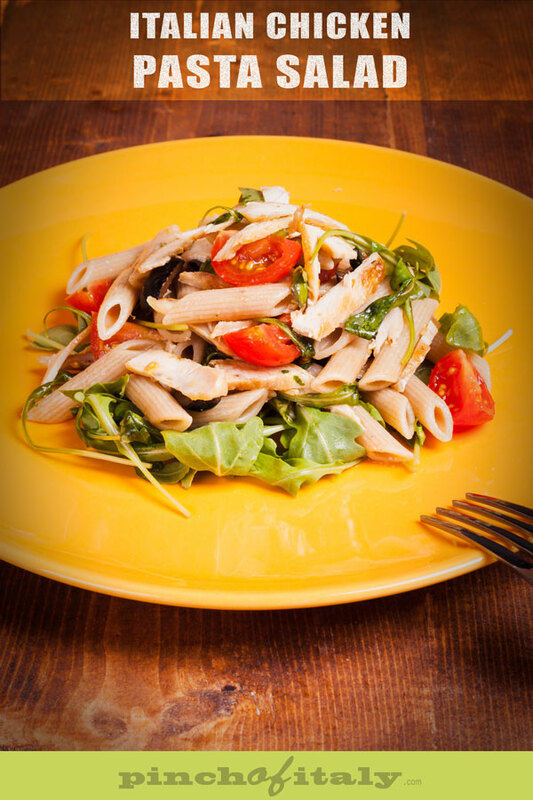 Put the stripes of chicken breasts, sliced tomatoes, sliced olives, arugula and a few leaves of basil in a large pasta bowl. At this point add the lemon juice that you have previously squeezed. 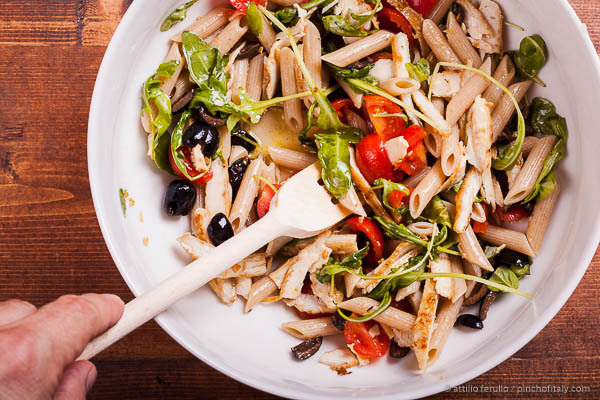 You've made an Italian style chicken pasta salad. At this point what remains is just to serve it!